Grandmaster Harfouche, six time hall of fame winner and founder and creator of Shorite Tai Jutsu, is considered the spiritual father of the martial arts, by the elite athletes of the world. Dr. Harfouche, seeing the need to not just father the elite, but to raise up champions of our generation from young to the mature. 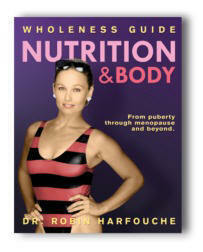 Along with his wife, Dr. Robin, Harfouche has begun the World Life Fitness Center in Pensacola, Florida. This fitness center will be the largest of its kind in southeast. World renown elite athletes will visit the facility frequently, imparting their skills to others in the form of seminars and training sessions. Stay tuned for upcoming dates and details! "Being meek, does not mean being weak..."